We guarantee this is an authentic CHANEL Vintage Lambskin Chevron Tassel Camera Case Red or 100% of your money back. 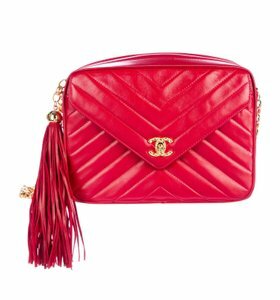 The classic features and the exceptional quality of this vintage Chanel camera style shoulder bag create a bag of timeless elegance for evening. 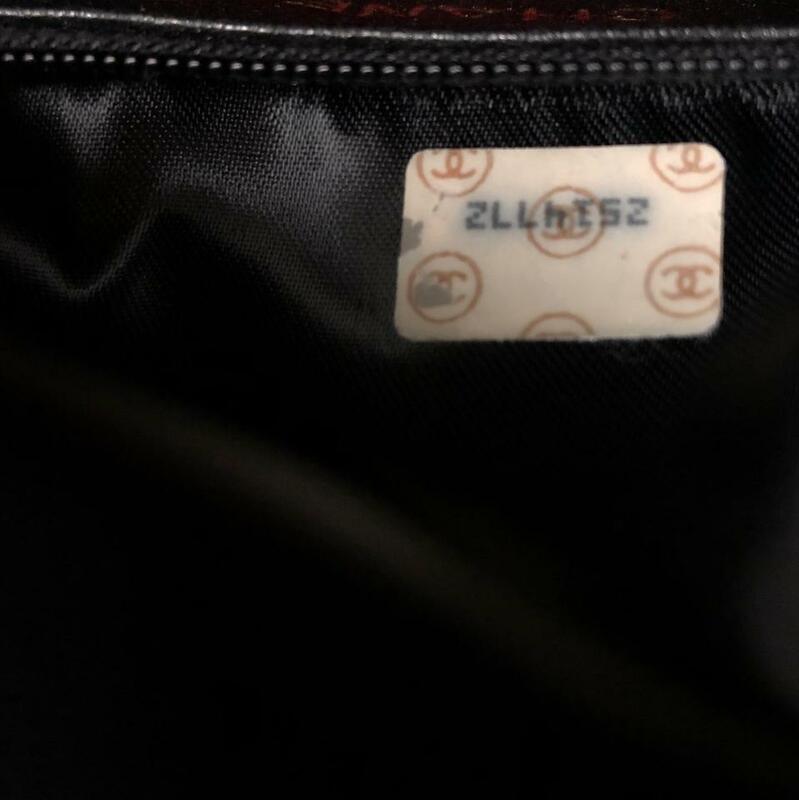 This is a roomy, uniquely structured bag that is beautifully crafted of sturdy, elegant lambskin leather with an embroidered Chanel CC turn lock. 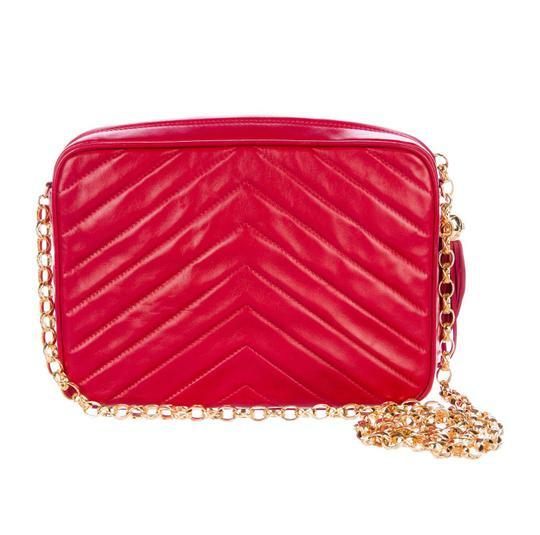 There is a long gold chain link shoulder strap and a decorative long tassel with a gold knob zipper pull. 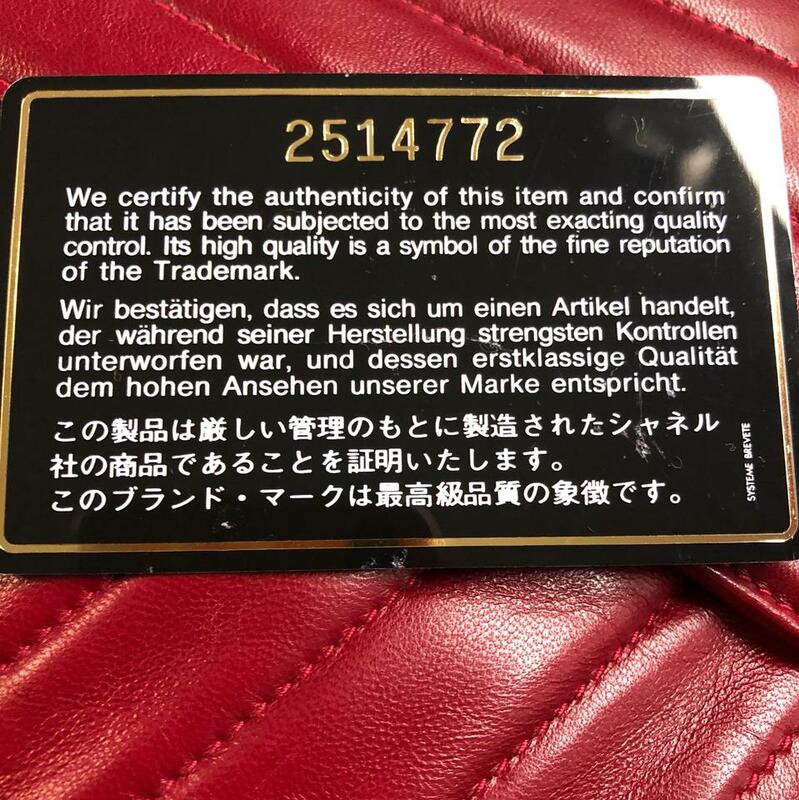 This opens to a black leather interior with zipper and patch pockets. 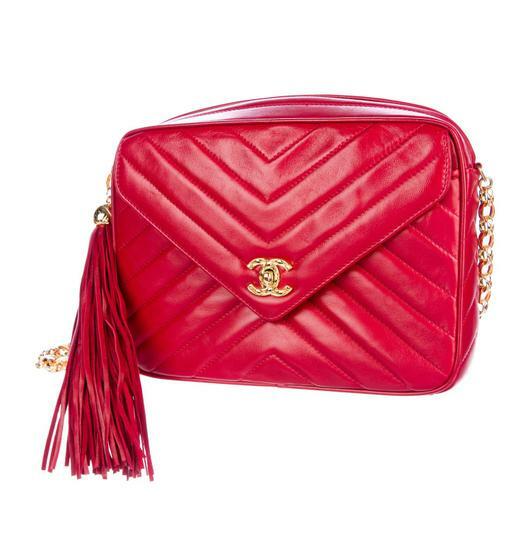 This is an excellent shoulder bag that is chic for day or evening, from Chanel. Size: Length: 9", Height: 6.5", Depth: 2.5", Drop: 20"